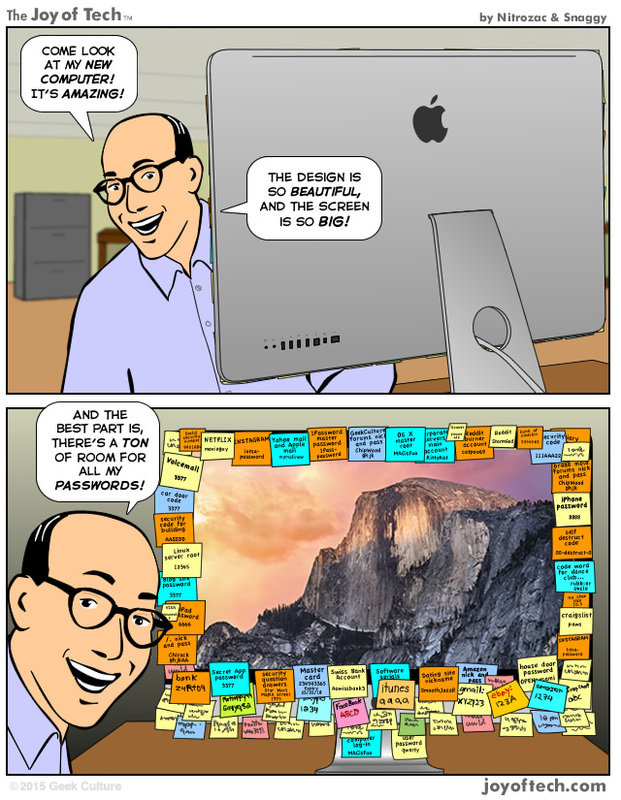 The Joy of Tech comic… New computer! Love the design! He's covering up the beautiful design of his computer! He really should color-code and size-code his Post-it Notes better. He should keep all his passwords on a single piece of paper in his desk! He's not using a secure password-storing program. What's the problem? Everyone puts notes around their computer, don't they? quantumfluff had another patent issued, ... ARJ confesses So while I was having a shower, this happened, ... Snaggy was seeking a Dr. Bott DVIator power supply and spots Comet Lovejoy, and The Famous Druid shares an (allegedly) true story.